At our home, grilled lamb chops are a favorite Sunday night supper. They’re simple to prepare, quick to cook, and, when on sale as they were yesterday, irresistible. 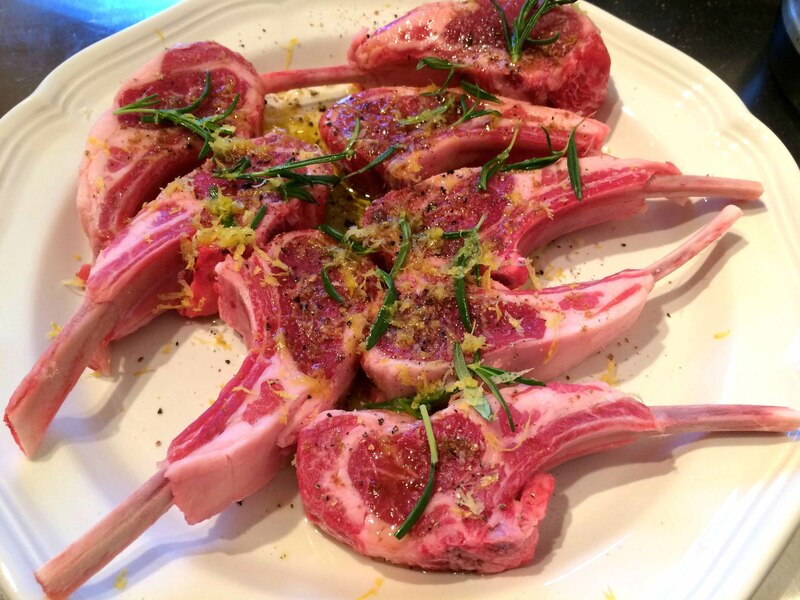 This is also a great dish for informal entertaining as it takes only a few minutes a side to grill the chops. 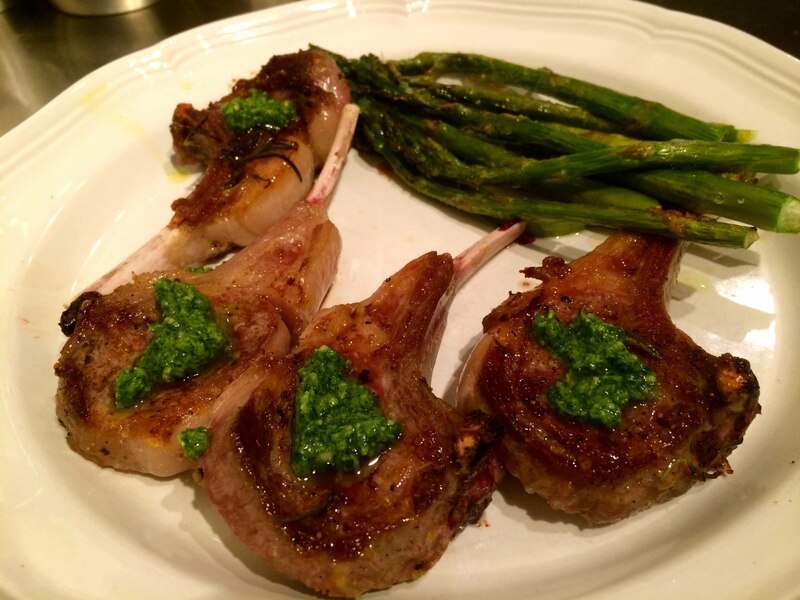 In keeping with the “finger-food” theme, I generally serve the lamb chops with roasted asparagus. Here are my recipes, minus exact measurements. The amount of oil, seasoning, herbs and cheese will be determined by the quantity of chops and asparagus that you are preparing. Bring the chops to room temperature an hour or so before grilling. During this hour, marinate the chops seasoned with salt, pepper, and a little ground cumin in extra-virgin olive oil, lemon zest, and rosemary. 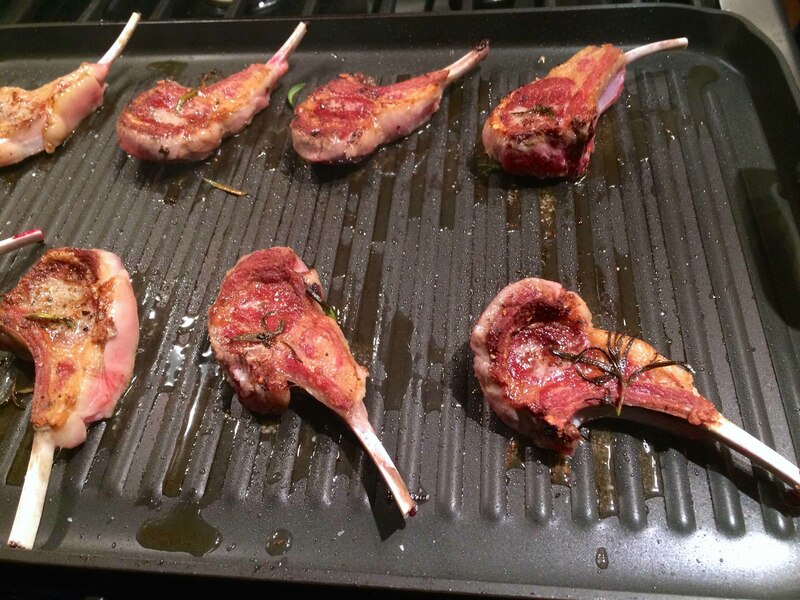 Heat a grill pan and grill the chops over medium hight heat for about 3 minutes a side. The exact time will be determined by the thickness of the chops. When done, place on heated plates and serve with a small dollop of pesto on each chop. Wash and dry the asparagus. Trim the spears by snapping off the tough lower parts. Place in a baking pan and season with salt and freshly ground nutmeg. Drizzle with extra-virgin olive oil turning the spears to distribute the oil and the seasoning. 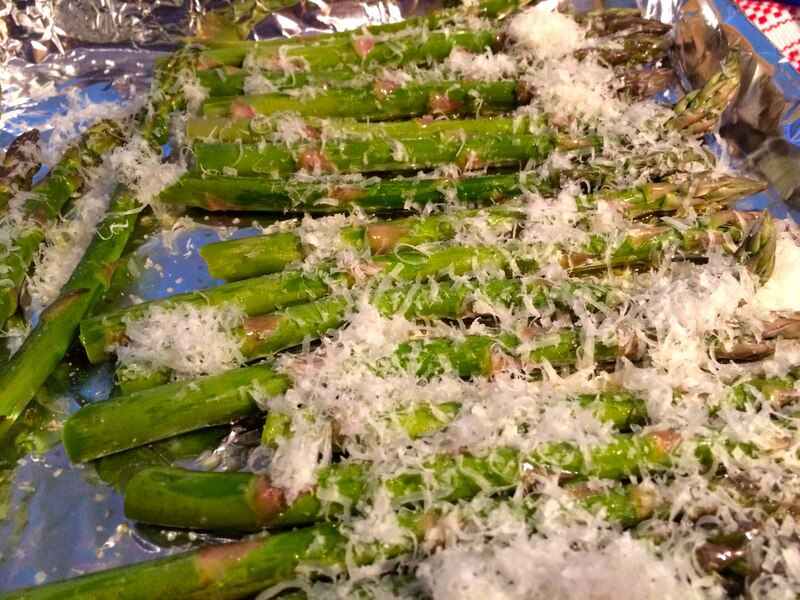 Grate a generous amount of Parmigiano-Reggiano over the asparagus and roast for about 15 minutes. The thickness of the asparagus will determine the exact cooking time.